Have you ever tried out Murunga Elai Podi, a South Indian-style chutney powder made with moringa aka drumstick leaves? Extremely delish, extremely healthy, I tell you! I have often waxed eloquent about the many health benefits that moringa possesses. Not only the leaves of the tree, but also the pods and flowers are edible, and all of them are extremely nutritious too. It is no wonder that moringa – murungai in Tamil – is considered a ‘super food’ the world over. Hence, moringa features regularly on our dining table, in various ways. Murunga Elai Podi ranks among the top favourite ways of our family to consume this wonder food! I make this chutney powder following the same proceedure as that for my mom’s Thengai Podi. It is a burst of flavours – slightly sweet and tangy and spicy – and goes wonderfully well with steamed rice, idlis and dosas alike. Only 1 teaspoon of oil goes into it – isn’t that awesome? Here is how I make the Murunga Elai Podi or Moringa Leaves Chutney Powder. Wash the moringa leaves well under running water a couple of times. Then, place in a colander and drain out all the water from them. Place on a cotton towel, and pat dry, then spread them out on another cotton towel and allow them to sun-dry for a couple of hours. They are ready to be used when completely dry, with no hint of moisture to them. Remove all seeds and impurities from the tamarind. Keep aside. Heat the oil in a heavy-bottomed pan. Add in the chana daal, urad daal, dry red chillies, sesame seeds and fenugreek seeds. Dry roast on medium heat till the daals begin to turn brown and emit a lovely fragrance. This should take 2-3 minutes. Take care to ensure that the ingredients do not burn. Now, add the grated coconut to the pan, and roast on medium flame for a minute. Take care to ensure that the ingredients in the pan do not burn. Transfer all the roasted ingredients to a plate, and allow to cool down completely. Add the dried moringa leaves to the pan. Dry roast on medium heat till the leaves shrink and become crisp. Transfer to the plate with the other roasted ingredients. Keep aside, and allow to cool down fully. Break the tamarind roughly and add the pieces to the same hot pan. Without switching the gas on, dry roast the tamarind for a minute. It will get slightly crisp in the residual heat of the pan. Keep aside, and allow to cool down fully. When all the roasted ingredients have completely cooled down, transfer them to a medium-sized mixer jar – the roasted moringa leaves, chana daal, urad daal, dry red chillies, sesame seeds, fenugreek seeds, coconut and tamarind. Add salt to taste, turmeric powder, asafoetida and jaggery powder. Mix the ingredients up. Grind to a coarse powder. Your Murunga Elai Podi is ready! Allow the Murunga Elai Podi to cool down entirely, and then transfer to a clean, dry, air-tight bottle. Leave the bunch of fresh moringa leaves wrapped in newspaper or in a paper bag, overnight, at room temperature. By the next morning, most of the leaves would have fallen off the stem, ready to use. This is one of the easiest ways to use moringa leaves. I use a mix of the long, shrivelled Bydagi chillies and the small, round, fat Salem Gundu chillies to make this Murunga Elai Podi. Bydagi chillies are relatively less spicy, while Salem Gundu chillies are quite hot. A mix of two evens out the taste of the podi for us. You can leave out the tamarind and jaggery while preparing this Murunga Elai Podi. I do add them, because it suits my family’s taste buds. Do ensure that the ingredients do not burn while roasting. Make sure all the roasted ingredients have completely cooled down, before you use them in making the Murunga Elai Podi. Make sure you grind the roasted ingredients coarsely and not make a fine powder. Coarsely ground podi tastes way better than the fine version. I have used fresh coconut in making this podi. You can use dry coconut (kopparai) instead, too. Adjust the quantity of tamarind, salt, dry red chillies and jaggery you use, depending upon personal taste preferences. If stored and used hygienically, the Murunga Elai Podi stays well for 5-6 days at room temperature. In hotter climates, the shelf life might go down. Refrigeration will increase the shelf life further. This Murunga Elai Podi can be consumed with hot steamed rice and ghee. It can also be served with idlis and/or dosas. I’m sharing this recipe with Fiesta Friday #268. The co-host this week is Julianna @ Foodie on Board. ‘Necessity is the mother of invention,’ they say. And they are right, whoever ‘they‘ are. In a lot of cases, discoveries come about when one is hard-pressed. This is especially true in the world of the kitchen, I think. Just how many new recipes have been discovered just because the cook simply had to use up a particular ingredient or because something went wrong and absolutely had to be salvaged? This Thai-Inspired Dal Tadka Recipe is one such thing. It came about, recently, because I had a few ingredients (kaffir lime leaves, galangal and bird’s eye chillies) left over after making Thai Green Curry, and wanted to use them to make something Indian. This Kaffir Lime Dal Tadka went on to become a favourite at home, and I’m sure it is now going to find pride of place on our dining table quite often. I adore the fragrance of kaffir lime leaves, and love using them to infuse just about everything in my kitchen. So, I’m surprised as to how this Kaffir Lime Dal Tadka didn’t happen sooner in my kitchen! Anyways, better late than never, eh? The Thai-Inspired Dal Tadka tasted fabulous, if I may say so myself. Paired with piping hot steamed rice, some ghee and cauliflower curry, it made for a hugely satisfying lunch. It’s so simple to make, and such a lovely change from the usual – you must try this out too! This is a vegan dish, and can be made gluten-free too if you leave out the asafoetida used here. Here goes the recipe for the Kaffir Lime Dal Tadka! 1. Take the toor daal in a wide vessel, and wash it thoroughly under running water a couple of times, draining out the water from it each time. Now, fill in just enough fresh water to cover the toor daal. Place the vessel in a pressure cooker, and cook for about 5 whistles on high flame or till the daal is well-cooked and soft. 2. Chop the tomatoes finely. Slit the Thai bird’s eye chillies. Chop the galangal finely. Keep ready. 3. When all the pressure has released (naturally) from the cooker, get the cooked toor daal out and mash it well. 4. Now, we will begin making the Kaffir Lime Dal Tadka. For this, heat the oil in a heavy-bottomed pan. Add in the mustard seeds, and allow them to sputter. Add the dry red chillies, bird’s eye chillies, asafoetida, cumin seeds and galangal. Saute for a couple of seconds, taking care to ensure that the ingredients do not burn. 5. Now, add the chopped tomatoes to the pan, along with a bit of salt. Add in a splash of water. Cook on high flame till the tomatoes turn mushy. 6. Add the cooked and mashed toor daal to the pan, along with about 1 cup of water. Add salt to taste, turmeric powder, 4-5 kaffir lime leaves (roughly torn), red chilli powder to taste (if using) and jaggery powder (if using). Mix well. 7. On high heat, bring the Kaffir Lime Dal Tadka to a boil. Then, lower the flame to medium and allow to cook for about 2 minutes. Stir intermittently to ensure there’s no sticking to the bottom of the pan. Switch off gas at this stage. 8. Mix in the finely chopped coriander leaves and lemon juice. Your Thai-Inspired Dal Tadka Recipe is ready! Serve hot with steamed rice or rotis and sabzi of your choice. Masoor daal or moong daal can be used in place of toor daal. Make sure the daal is well cooked and soft before using it in this Thai-Inspired Dal Tadka recipe. If you don’t have Thai bird’s eye chillies, you can use regular Indian green chillies instead. Adjust the quantity as per personal taste preferences. Adjust the quantity of kaffir lime leaves you use, as per personal taste preferences. The above quantity worked perfectly for us. Thai galangal can be substituted by Indian ginger. However, the galangal adds a unique flavour and smell to the dal tadka, which you will not get in case you use Indian ginger. There is no substitute to the kaffir lime leaves. They are an absolute must in this recipe. You can skip the jaggery powder, red chilli powder and lemon juice in the above recipe, if you so desire. I used them. I have not used garlic in the dal tadka as I was skeptical it might overtake the fragrance of the kaffir lime. In a regular dal tadka recipe, I do add in some garlic too, and some onion as well. I prefer using country (Nati) tomatoes in this Kaffir Lime Dal Tadka, over the regularly commercially available farm tomatoes. Adjust the quantity of water you use, depending upon the consistency of the daal tadka you prefer. This recipe is for Foodie Monday Blog Hop. The theme for this week is #DesiTwist, suggested by Kalyani of Sizzling Tastebuds. Members need to cook a desi dish, imbued by videshi ingredients. I chose to share this Thai-Inspired Dal Tadka recipe for the theme. I’m also sharing this post with Fiesta Friday #267. The co-hosts this week are Antonia @ Zoale.com and Abbey @ Three Cats and a Girl. With Or Without You, Shari Low’s latest offering, is what I am reading at the moment. Released in February 2019, this book by Aria, promises to be perfect for fans of Jojo Moyes and Marian Keyes, both authors I have read in the past and enjoyed. With Or Without You has a rather interesting premise, so I readily agreed when Aria approached me asking if I was up for a book tour. And.. here I am, with a bookish post after what seems like ages! There was a time when I was an out-and-out bookworm. Reading books used to be of prime importance, and that was what I did most of my free time. I used to adore writing about the books I read, exchanging book recos and ideas with like-minded people. Then, the bub happened, life as a school mom happened, food and travel blogging happened, and I was left with no inclination to read. I mean, I still read, but these days, I hardly manage to complete 10 books a year as opposed to the 30 or 40 I would read earlier! To cut a long story short, what I am trying to say is – I miss that connect with books. I miss delving deep into a story, burning the midnight oil to finish the last few pages of a book. I miss the bookish conversations. I miss stepping out to buy books, then speed-reading to finish up the pile lying in front of me. I’m not sure if I can get back to the book-monster that I was once, but well, I can try. I want to get there, and I will try my best. This post is an attempt to make that journey towards the bookish me happen – it is a social commitment I am setting up for myself. Are you guys with me on this? So, coming to the book in question, that is the cover. Isn’t it pretty? Have you ever made a life-changing decision and then wondered if you made the right one…? A clever, captivating and bittersweet story of what might have been. I’m all excited to find out. Are you? Haven’t we all, at one point or the other in our lives, wondered what would have happened had we chosen that path instead of this one, that person instead of this one, that alternative instead of this one? I’ll be sharing my thoughts about the book, once I complete it. Does Shari Low’s With Or Without You sound like something you would like to read too? The book is available on Amazon, if you would! ‘Azefa‘ (also called ‘Azifa‘) is a lentil salad that hails from the exotic land of Ethiopia in Africa, a place I have always dreamt of visiting. Made with different kinds of lentils by different people, this is one of those salads that is simple yet hearty and extremely delicious. The addition of mustard powder is a must in Azefa, which gives it a proper punch. I recently made Azefa at home for an evening snack, using brown lentils (our very own sabut masoor or whole masoor daal), and it was a huge hit. This Ethiopian Lentil Salad takes just a few minutes to prepare, once you have the ingredients ready, and is super-duper delicious! What’s more, it is oil-free, gluten-free, vegan and protein rich – perfect for weight watchers and diabetics who are looking for a healthy snacking option in between meals. This Ethiopian Lentil Salad is definitely something you must try out too! I adapted Chef Mireille’s recipe for the Azefa, making a few changes of my own. Here is how I made it. 1. Take the whole masoor daal in a wide vessel. Wash thoroughly under running water, a couple of times. Drain out all the water. 2. Now, add enough fresh water to the washed and drained lentils to cover them. Place the vessel in a pressure cooker. Cook for 4 whistles on high flame or till the lentils are well cooked and soft. Switch off gas and let the pressure release naturally. 3. Drain out the water from the cooked lentils, and reserve it. Let the lentils cool down completely, then transfer them to a mixing bowl. 4. Chop the onion, cucumber and capsicum finely. Add to the mixing bowl. 5. Peel the carrot and grate it medium-thick. Add to the mixing bowl. 6. Add the finely chopped coriander to the mixing bowl. 7. Powder the salt, red chilli powder and mustard together in a small mixer. Add this powder to the mixing bowl. 8. Add lemon juice to the mixing bowl. 9. Mix all the ingredients in the mixing bowl well, but gently. Let the salad sit for about 10 minutes, for the flavours to meld together. Serve immediately. 1. I have used a small yellow capsicum here. 2. Adjust the quantity of salt, red chilli powder, lemon juice and mustard that you use in this Ethiopian Lentil Salad, as per personal taste preferences. 3. Use a seedless variety of cucumber, for best results. 4. You can use any variety of lentils to make Azefa – puy lentils, whole masoor daal, whole green moong and the likes. 5. Make sure the lentils are well-cooked and soft, but not overly mushy. Overcooked lentils will make the salad tasteless. 6. Drain out excess water, if any, from the cooked lentils. Don’t discard this water, but reserve it instead. This water – full of nutrients – can be used in a soup or gravy-based curry or for binding dough for rotis. 7. I have used rock salt – a relatively healthier alternative to commercially available table salt – in this Ethiopian Lentil Salad. You may use regular table salt instead, too. 8. I have used carrot, onion, cucumber and capsicum to make the salad more hearty. You may add in any other vegetables of your choice as well. 9. Several online recipes for Azefa use parsley for additional flavour. I have used fresh coriander (cilantro) instead, which is also a commonly used herb in African cooking, as per my understanding. 10. You can add ready-to-use mustard powder to the Azefa too, but I much prefer using freshly-ground mustard instead. This post is for the Food Bloggers Recipe Swap group that I am part of. Every month, a bunch of us food bloggers get together, form pairs and cook from each other’s blogs. I was paired with Chef Mireille for the month and, from the hundreds of beautiful recipes on her blog, I zeroed in upon Azefa. I’m also sharing this recipe with Fiesta Friday #267. The co-hosts this week are Antonia @ Zoale.com and Abbey @ Three Cats and a Girl. Well-made Sakkarai Pongal aka sweet pongal is a thing of joy. Beautiful in taste, creamy and decadent, it is a pleasure to gorge on, especially for people like me who are in possession of a huge sweet tooth. 🙂 Today, I present to you the recipe for another version of sweet pongal – Godhumai Rava Thengai Paal Pongal – which is an absolute treat to the senses! This version is made with broken wheat or daliya instead of the commonly used rice, a healthier substitute. It lends a lovely, grainy texture to the pongal that all of us at home love. The addition of coconut milk makes this pongal all the more delicious and decadent. You absolutely have to try this out to believe how gorgeous it tastes! Like me, you could use store-bought coconut milk or make your own at home – it tastes brilliant either way. This Godhumai Rava Thengai Paal Pongal is a big favourite of everyone at home. The bub loves it too, so I make it occasionally for her, when all of us are in the mood for a sweet treat. It is a super simple thing to prepare too! Let us now check out the recipe for Godhumai Rava Thengai Paal Pongal. 1. Take the broken wheat and moong daal together in a wide vessel. Wash them thoroughly under running water. Drain out the excess water. Now, add in 4 cups of fresh water, and place the vessel in a pressure cooker. Pressure cook on high flame for 5 whistles. Let the pressure release naturally. 2. In the meanwhile, let us prepare the jaggery syrup for the pongal. Take 3 cups of jaggery powder and 2 cups of water together in a thick-bottomed pan, and place on high heat. Cook, stirring intermittently, till the jaggery is completely dissolved in the water. Let the jaggery syrup come to a boil and then switch off the gas. 3. When the pressure in the cooker has entirely gone down, remove the cooked broken wheat and moong dal from it. Now, place the pan with the jaggery syrup back on high heat. Add the cooked broken wheat and moong daal to the jaggery syrup. Mix well. Mash with a potato masher if needed. 4. Stirring intermittently, cook the mixture on medium flame till everything is well incorporated together, and the pongal starts to thicken. This should take 4-5 minutes. 5. Now, add the thick coconut milk to the pan. Mix well, and cook for another 2 minutes on medium flame or till the pongal starts to thicken again. Switch off the flame. 6. Chop the cashewnuts and almonds roughly. Keep them handy. 7. Heat the ghee in another pan. Add in the chopped cashewnuts and almonds, as well as the raisins. Fry on medium flame till the cashewnuts and almonds start turning brown and the raisins plump up. Take care to ensure that the ingredients do not burn. When done, switch off the gas and add this to the pongal. 8. Add the cardamom powder to the pongal as well. Mix well. Your Godhumai Rava Thengai Paal Pongal is ready to serve! You can serve it hot, warm or after bringing it to room temperature. I have used broken wheat that was slightly bigger than Bombay rava. I think it lent a lovely texture to the pongal. You get different sizes of broken wheat in departmental stores these days – you can use any, as per personal taste preferences. The broken wheat and moong daal should be well-cooked and soft, before adding it to the pongal. I have used store-bought coconut milk here (Dabur Home-Made). You can use thick, first-pressing coconut milk in case you are making your own at home. Adjust the quantity of ghee, jaggery, raisins, cashewnuts and almonds you use, as per personal taste preferences. I add the coconut milk towards the very end, so that it doesn’t lose its prominent taste in the pongal. You may add in some nutmeg powder/cloves/edible camphor into the Godhumai Rava Thengai Paal Pongal. I haven’t used any of these ingredients here. The colour of your pongal will depend upon the type and quality of jaggery you use. Typically, the jaggery syrup is allowed to cool down completely and then strained via a cotton cloth, before using it in the pongal, to remove any impurities that might be present in the jaggery. However, you can skip this step if you are sure there are no impurities in the jaggery you are using. I don’t. The typical Sakkarai Pongal (sweet pongal) that I make includes the use of (dairy) milk to make it sinfully delicious and creamy. Here, I have used coconut milk instead and completely omitted the (dairy) milk. Switch off the gas when the Godhumai Rava Thengai Paal Pongal is still quite runny. It will thicken further on cooling. This post is for the Foodie Monday Blog Hop. Every Monday, a bunch of us food bloggers cook for a pre-determined theme. The theme for this week is #PlantBasedMilk, suggested by Archana of The Mad Scientist’s Kitchen. While there are plenty of plant-based milks that I could have delved into – soya, sesame seeds, hemp, almonds, cashewnuts, peanuts, walnuts, hazelnuts and corn, for instance – I chose to use coconut milk to make this Godhumai Rava Thengai Paal Pongal. I’m also sharing this recipe with Fiesta Friday #266. 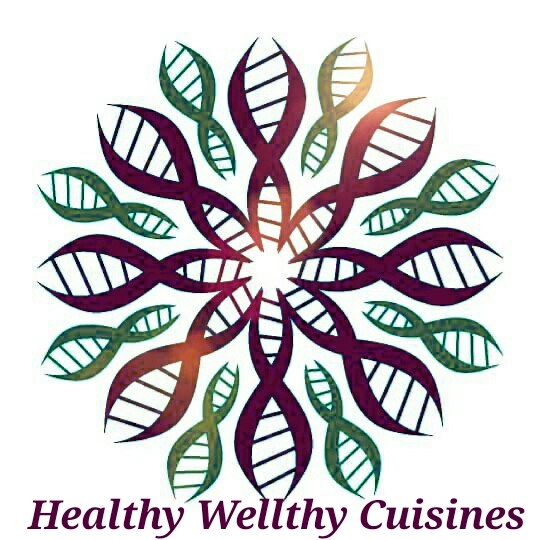 The co-hosts this week are Laurena @ Life Diet Health and Jhuls @ The Not So Creative Cook. Best wishes to all of you on the occasion of Maha Shivratri! I am here today with a recipe for a colourful Summer Salad, which also doubles up as a Skin Glow Salad. You can have this salad even if you are fasting! Summer is, really and truly, settling in into Bangalore. Rather early too, at that. The days are getting hotter and hotter, and it is becoming difficult to get out of the house post 10 AM! Standing in the kitchen for any time above 10 minutes is becoming a sweaty affair. I have started resorting to preparing very simple meals and a lot of salads, these days. This Summer Salad is a fruit-and-vegetable salad that takes bare minutes to prepare, perfect for hot days when you totally don’t want to come up with something elaborate. Why is it called Skin Glow Salad? Because every single ingredient in this salad has been carefully chosen to contribute towards better skin health! Carrots are rich in Vitamin A, which helps repair skin tissue and offers protection to the skin against the harsh rays of the sun. They are also full of beta-carotene, minerals and antioxidants, which help in maintaining better skin complexion. Onions are rich sources of sulfur-rich phytochemicals, which help slow down the process of ageing. They improve blood circulation, and help keep one’s skin moisturised, youthful and radiant. Pomegranates possess a high degree of antioxidants, which arrest the process of ageing. They help in cellular regeneration, keeping wrinkles and sagging skin at bay. Cucumbers have a high water content, as well as a good amount of ascorbic acid and caffeic acid, thanks to which they are great in soothing skin irritations and rashes. They are high in various minerals too, which helps keep replenish skin losses and keep it healthy. Lemon is high in Vitamin C and citric acid, which aids in collagen production, helping in the removal of tan, age spots and dark spots. Consuming lemon also helps in flushing out toxins from your blood, which in turn helps in keeping your skin clear and radiant. Ayurveda considers rock salt or sendha namak as far more superior than commercially available salt. Being rich in minerals, rock salt helps in removing dead skin cells, strengthen skin tissue, improving blood circulation, and protecting the natural layers of skin. All of this, in turn, helps in retaining youthful, glowing skin. Isn’t that just amazing? You are what you eat, after all. And now, here’s the detailed recipe for this Skin Glow Salad. 1. Peel the carrot and grate medium-thick. Place the grated carrots in a large mixing bowl. 2. Chop the onion and baby cucumber finely and add to the mixing bowl. 3. Add the pomegranate arils, salt to taste, black pepper powder, finely chopped coriander, and lemon juice to the mixing bowl. 4. Mix everything well together, gently. Let sit for just about 5 minutes for the flavours to meld together. Your Summer Salad or Skin Glow Salad is ready! Serve immediately. 1. You can add in other vegetables or fruits of your choice to this Summer Salad too. Raw mango, tomato and sweet corn would be good additions. 2. Other ingredients like roasted cumin (jeera) powder, black salt and honey can be added to this salad too. I have avoided these, and kept the salad really simple. The sweetness from the carrot was just right, and the Summer Salad didn’t really need any sweetener. 3. Since the baby cucumbers were really tender, I haven’t peeled them. You may want to, if they are a bit mature. 4. Don’t let the Skin Glow Salad sit around for too long after it is ready, for it might start leaving too much water and get tasteless. Serve it after about 5 minutes of the making. 5. If you want to prepare ahead of time, you can keep the vegetables chopped/grated and ready. Add the salt, black pepper powder, fresh coriander and lemon juice just before serving the Skin Glow Salad. 6. This Summer Salad is made using rock salt, and can hence be consumed even during fasts. This post is for the Foodie Monday Blog Hop, a Facebook group wherein a bunch of us cook for a pre-determined theme every Monday. The theme for the week is #GlowingSkinRecipes, suggested by Amrita of The Food Samaritan. The seeds of the lotus plant – called Foxnuts or Gorgon Nuts – were always quite commonly used in North Indian households. Called Phool Makhana or simply Makhana in Hindi, the seeds are typically used to make Makhane Ki Sabzi (a gravy-based curry), Makhane Ki Kheer (a sweet dish), Makhane Ka Rayta (a yogurt-based dish), or Phool Makhana Namkeen (roasted and salted foxnuts). Considering that they are a ‘seed’ and not a ‘grain’ per se, they are extensively consumed in North India during fasts, too. Today, with the growing awareness about the numerous health benefits of foxnuts, they have begun to be considered as a ‘superfood’, with people the world over beginning to use them in various forms. Makhana or foxnuts are low in calories, fat and sodium, but rich in proteins, carbohydrates, and calcium. This makes them a great snacking option for those in-between-meals hunger pangs. Moreover, they are low in glycemic index (GI) and gluten-free, due to which they are just right for diabetics and weight-watchers. The high potassium and magnesium content in foxnuts helps regulate blood pressure, regulate kidney functions, and control heart diseases. They are rich in a flavonoid called kaempferol too, which has a positive effect on inflammation and also slows down the process of ageing. Foxnuts grow organically, without the need for any pesticide or fertiliser, and hence perfectly safe for consumption. Makhana was something I would only ever occasionally pick up while grocery shopping, before the bub happened. Then, one fine day, the bub tried some roasted makhana and the world changed for us. It instantly became one of her favourite foods, and stays so till date. And, then, makhana began to inevitably wrangle its way into our shopping bags regularly. 🙂 I must say I haven’t experimented with the seeds much – I use them only to make a simple roasted namkeen, the way the bub likes it. This Phool Makhana Namkeen or Roasted Foxnuts Recipe is what I am about to present to you today. Let’s now check out the Roasted Foxnuts Recipe, shall we? Lower flame to medium and add in the foxnuts. Roast on medium flame till the foxnuts get crisp, 6-7 minutes. You must stir intermittently, to avoid burning. The foxnuts are done when you press one between two fingers and it does not crumble. At this stage, turn flame to low. Add salt to taste and the turmeric powder to the pan. Mix well for about a minute, ensuring that all the foxnuts are evenly coated with the salt and turmeric powder. Avoid burning. Switch off gas. This Phool Makhana Namkeen can be served hot, immediately. If you plan to store it for later use, allow it to cool down completely before transferring to a clean, dry, air-tight container. You can use oil, butter or ghee to make this Phool Makhana Namkeen. I prefer using ghee. You can add other ingredients like red chilli powder, amchoor powder, garam masala and/or chaat masala to the Phool Makhana Namkeen. There are other flavour combinations that you can explore too – garlic, tomato, onion, peri peri and the likes. I prefer keeping it really simple, as the bub likes it this way. The Phool Makhana Namkeen stays well for up to 10 days when stored at room temperature, in a clean, dry, air-tight box. You can mix the salt and turmeric powder in a little oil and then add it to the pan, to ensure even spreading. I usually don’t do that, and add them in directly. For the best Phool Makhana Namkeen, roast the foxnuts on a medium flame to avoid burning, stirring intermittently . Add in the salt and turmeric powder after turning the flame down to low. You may use more ghee if you so prefer. This post is for the A-Z Recipe Challenge. Every alternate month, the participants cook with an ingredient beginning with a particular letter of the English alphabet. This month, we are cooking for the letter F. I chose ‘foxnuts’ aka makhana or phool makhana as my star ingredient for the theme.